The holidays are almost here and if you are like us, you’ve waited until the last minute to get your gifts! Also, if you are like us, there are plenty of people in your life who love libations. The question is, what to get them? A bottle of something is always safe but with a little help from our 2016 Cocktail Gift Guide, you can really take your gift to the next level. In the Cocktail Gift Guide below we have gathered a variety of gifts from books to mixers to glassware. You don’t have to be an accomplished mixologist to enjoy these gifts either. There is something for all levels! So let’s get started! Partea– Ever wanted to infuse your own spirits but not sure where to start or don’t want to commit to a flavor that may not work? Partea takes out the guess work for you! You can infuse un-aged spirits such as vodka, white rum, tequila blanco, and white whiskey as they will take on the most flavoring, but any spirit of 80 proof or higher will work. Partea has 5 different flavors: Jalapeno, Ginger, Wild Berry, Mocha, and Orange Spice. The kit comes complete with a jar and an infuser, which looks sort of like a teabag for spirits. Partea is a lot of fun and is great for the creative cocktail maker. 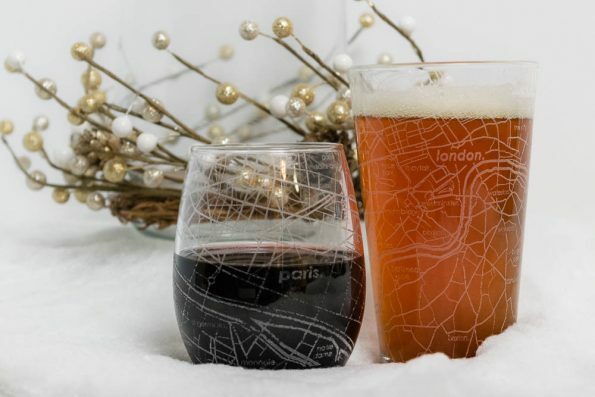 Map Glassware from Uncommon Green– Have you ever taken a trip with your favorite cocktail connoisseur? How about a gift that commemorates that trip? Uncommon Green has a large selection of glassware etched with maps from various major cities. You can select from pint glasses, wine glasses, and more (they even have coffee mugs). These glasses are not only super cool to look at but are also fantastic for sharing a story while having a drink. The Cocktail Chronicles– The Cocktail Chronicles is a fantastic book for someone who wants to learn the basics of cocktails and cocktail making. It was written by Paul Clarke, editor of Imbibe and the 2014 Best Cocktail & Spirits Writer. 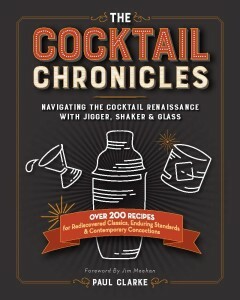 The Cocktail Chronicles is a collection of approachable, and easily made drinks that all share the same thing: a common deliciousness and a role — both big and small — in the ongoing and thriving cocktail renaissance. 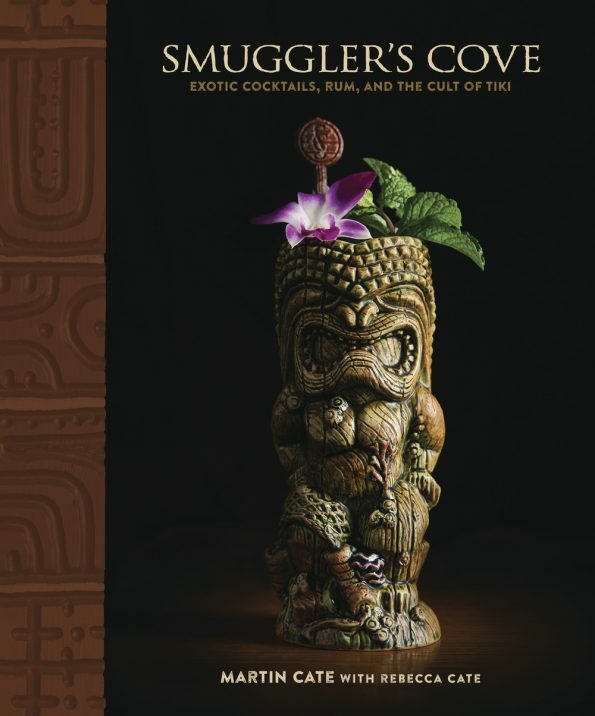 Smuggler’s Cove: Exotic Cocktails, Rum, and the Cult of Tiki– We were gifted this book this past summer as a birthday gift and have been tiki-obsessed ever since (we went from 1 bottle of rum to 8). If there is one book for the tiki lover in your life, this is it! Not only does it have cocktail recipes, but also rum options and recipes for simple syrups. This book is a total adventure and sure to please! Iconic Cocktail Co. Mixers– We stumbled upon Iconic Cocktail Co. at the Phoenix Public Market. Their line of cocktail mixers is absolutely fabulous! We actually have the whole set (including their seasonal Cranberry Thyme). We have even gifted them to friends already! 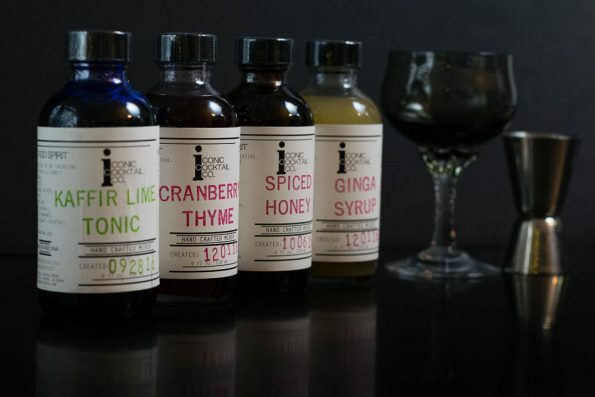 Their signature line includes Kaffir Lime, Ginga Syrup, and Spiced Honey. Even more fantastic, is that each bottle instructs you on how to build a great cocktail using their mixer. We hope this Cocktail Gift Guide helps you get a really fantastic gift for the cocktail lover in your life. Later this week we will be sharing tips for building a great gift basket and one of them will be cocktail-centric so stay tuned! You won’t want to miss it! *The Geeks were not compensated facilitate this write-up but did receive items to consider for use in this guide; No links contain affiliate content. All opinions are wholly our own. View our Disclosure Policy for more info. Oooh love this for those hard to shop for people on my list..those mixers I know would make a great gift for my friends! 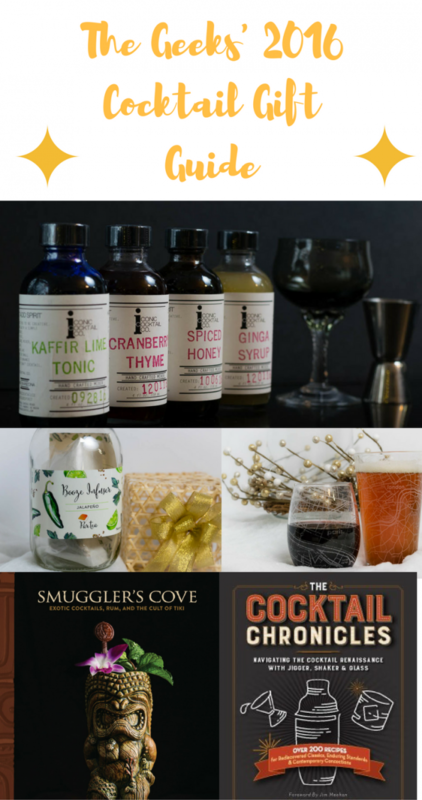 What a great gift guide for cocktail lovers! 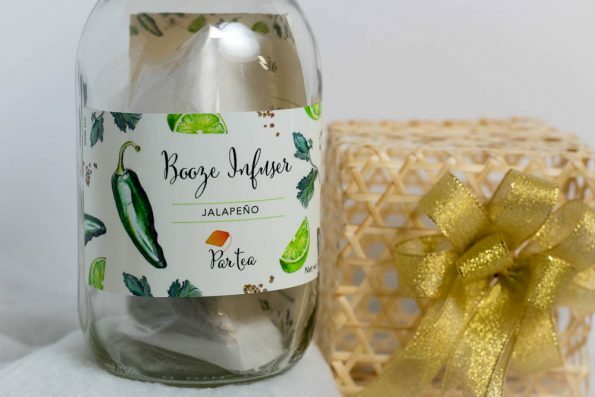 This is such a fun gift idea. I know several friends that would love these gifts. We were just looking for cocktail stuff the other day! We just realized our jigger sucked lol. Love everything on here! Haha. These are great gift ideas and I know a few people that would love them as gifts. Thanks.